Most people are happy to pay their taxes. But just how much we have to pay is not always straightforward, and it is frighteningly easy for a non-specialist to get the sums wrong or to overlook some significant item. 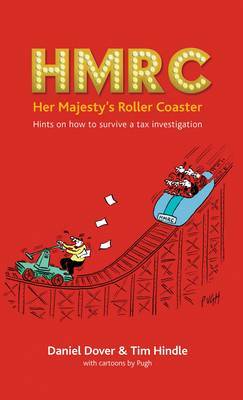 Written with wit and humour, HMRC: Her Majesty's Roller Coaster takes the reader through the potentially stomach-churning stages of what happens when Her Majesty's Revenue & Customs decide that someone has indeed got the sums wrong and not paid enough tax. It combines and updates the authors' previous books in the series, An Inspector Returns, War or Peace and The Taxman Always Rings Twice, all of them already classics of their genre.